Our second (and last) stop on the cruise was in Cozumel which is an island off the coast of Mexico's Yucatan Peninsula. The island sits at the north end of a huge coral reef system which is the second longest in the world (after the Great Barrier Reef in Australia). Connie and I have been here many years ago and really loved it. Di, Barbara and I decided to maximize our time on the island by renting scooters. It was the right choice. We had a ball riding around the island. I can make any activity look good as evidenced here. What a sight huh? We stopped along the road to look at the Kingbirds that were discussed in the last post but also saw some other interesting birds. The first is Melodious Blackbird - not much to look at but as the name suggests, they have a wonderful song. This one is eating some type of fruit. Yellow warblers are here too. This one has a red head which indicates that it is a resident of the Caribbean and doesn't migrate north. The birds that we see in our area in spring and summer have yellow heads. We took a side road up to a little town to see if we could get some lunch. We were met by locals who were trying to get us to go to the Tequila tasting event. Trust me, Tequila and scooters do not mix! When we said no, they sent us out of town to a beach restaurant for lunch. On our way out of town, we saw a few birds flitting around yards in the town. 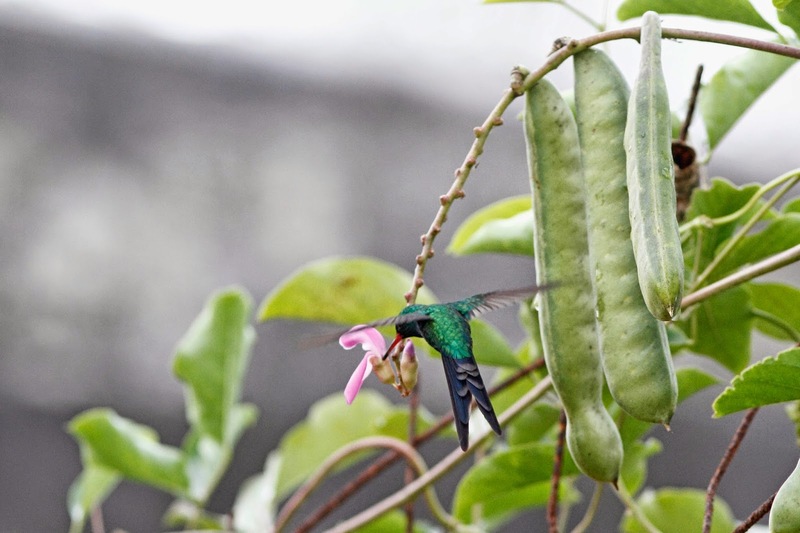 The first was this hummingbird called a Cozumel Emerald. It was bright green/blue and had this deeply forked tail. Here it is feeding on a flower in someone's yard. 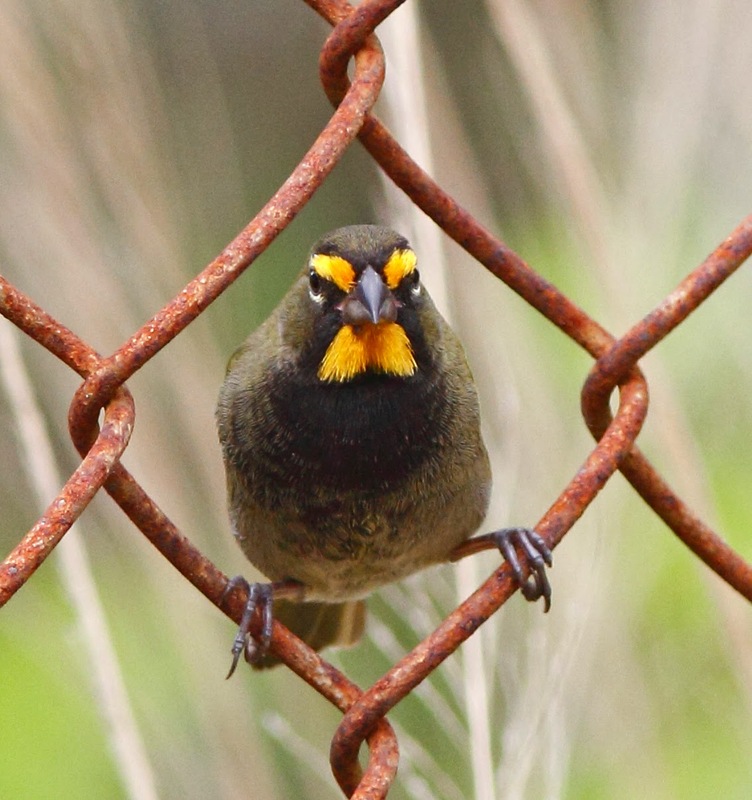 The next bird that we saw was this Yellow-faced Grassquit jumping around an old chain link fence. He stopped for a moment and looked at the scooter mommas. We then noticed another bird jumping around someone's front porch. 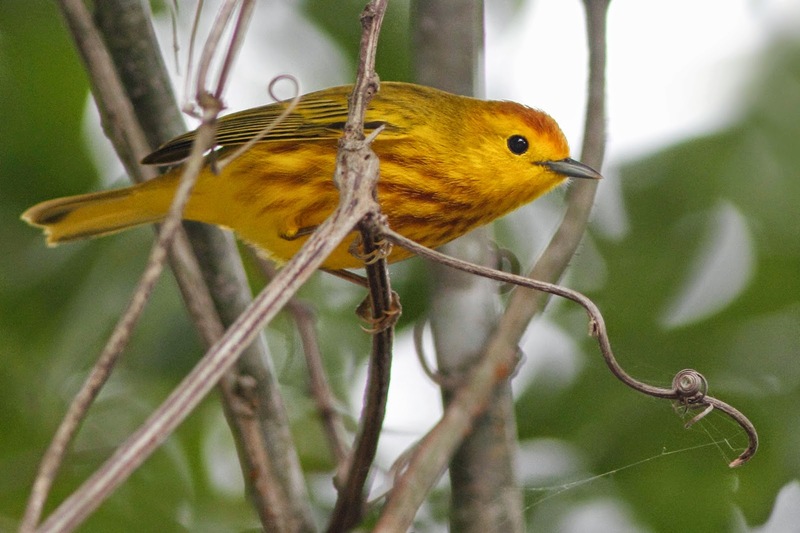 This bird is very familiar to us as it nests in our area and is one of the first warblers to return in spring. 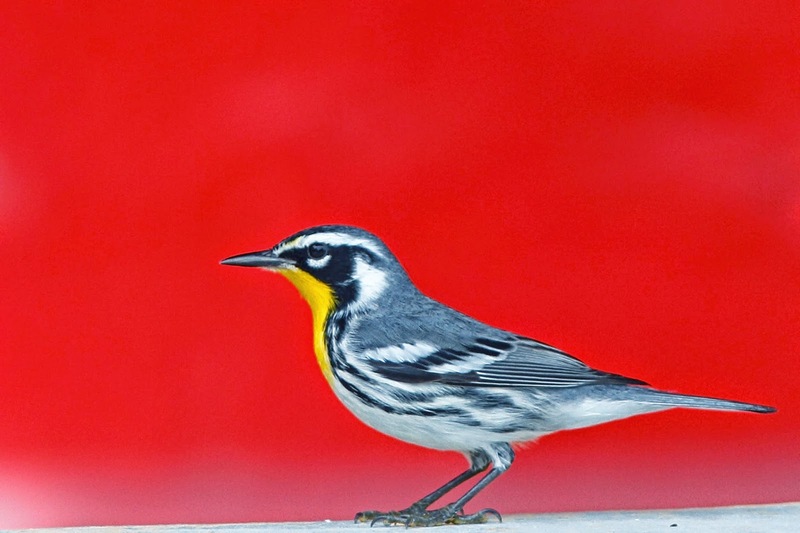 This Yellow-throated Warbler was having a good time picking insects off of the brightly colored porch. 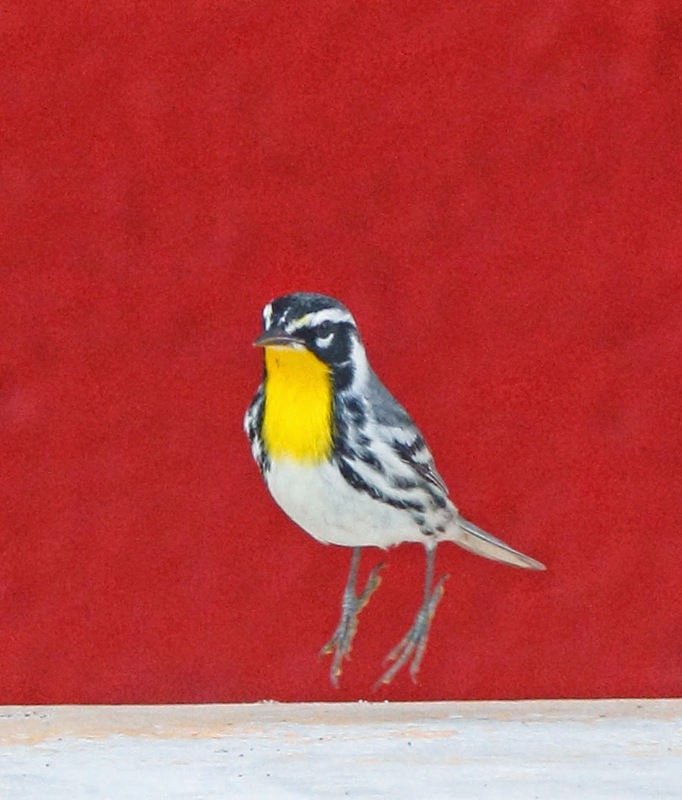 I call him the Mexican Jumping Warbler. Here he is in mid jump. We could barely tear ourselves away from this hotspot but we had limited time to see the island and still needed to have lunch so off we scooted. 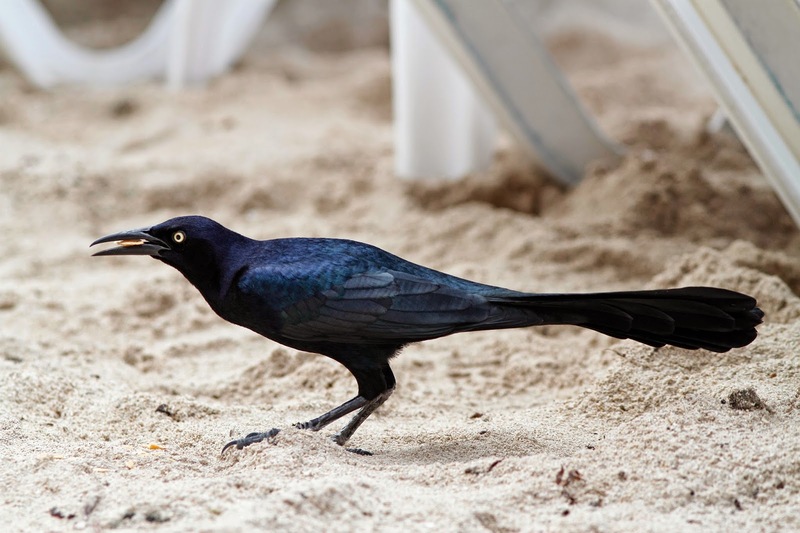 This Great-tailed Grackle hung around our lunch table and was finally rewarded with a tortilla chip that accidentally landed on the sand. We made it all the way around the island and stopped at some Mayan ruins but just like the Botanical Gardens, we didn't go in due to time constraints. We did get to see this Oriole in the parking lot. 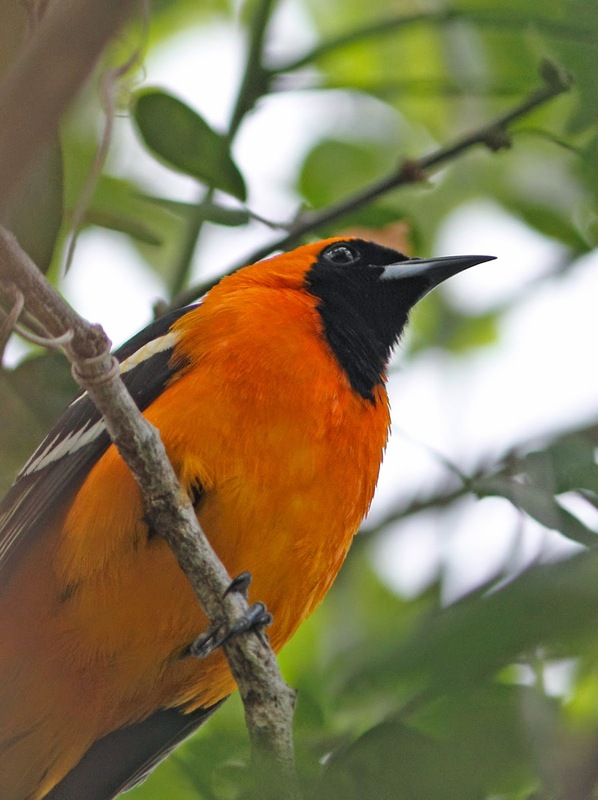 I am having a tough time with identification but finally settled on "Orange Oriole" for the ID. We ended our day by snorkeling off the pubic beach. It was just as I remember from my previous trip. We waded into the water and were immediately treated to colorful fish, stingrays, sea urchins and beautiful coral formations. 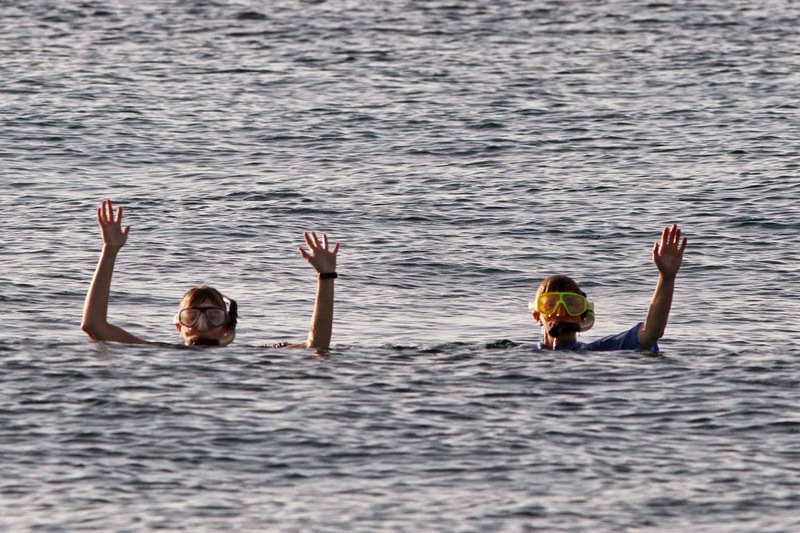 Here are me and Di waving to Barbara. Another pretty sight huh? All in all it was a great day. I wish we had more time to really investigate the island and the bird life. Hopefully we will be able to return someday. I just wanted to let you know that the bird you have labeled as a Melodious Blackbird is actually a Black Catbird (Melanoptila glabrirostris), a relative of the Gray Catbird. 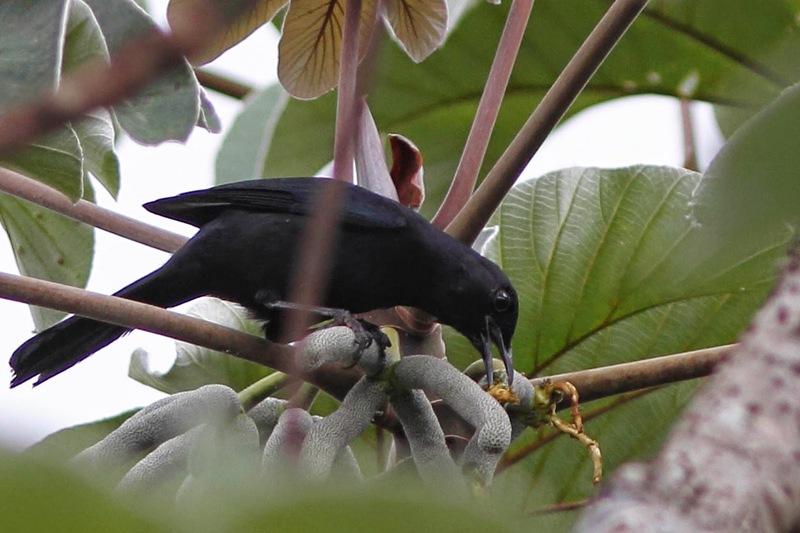 I should know: I spent about six months studying breeding biology of Black Catbirds on Cozumel for my master's research.